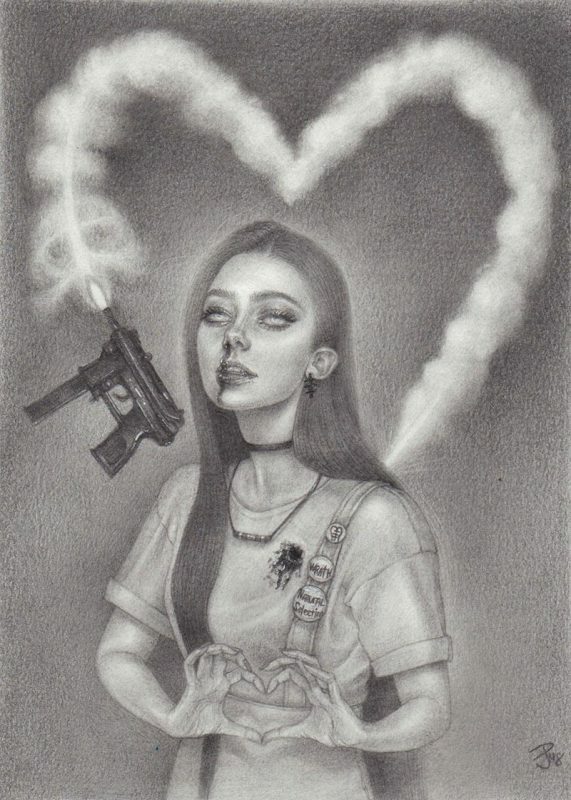 Formerly known as Jessica Ward, Jessica Perner is an American artist who works primarily in graphite to create powerful drawings that possess a strong sociological voice. In Agana, Guam on May 14th 1982 Jessica Diane (Hewer) Perner was born. Growing up she traveled and lived in many places around the world because her father was an Officer in the USAF. She attended Kendall College of Art & Design in Grand Rapids, Michigan and received a Bachelor’s degree in Fine Art – Drawing with a minor in Illustration. She continued to study at Kendall for a Master’s in Fine Art – Drawing until moving to Los Angeles, California instead to break into the art world. There she had her first gallery show in 2008, and has been exhibiting her work in galleries internationally since.